NOTICE! SATURDAY ONLINE TICKET SALES HAVE CLOSED BUT WILL BE AVAILABLE AT THE DOOR. SEE YOU TONIGHT! * Interactive Hollywood-caliber props and decor, theatrical lighting, fog, sound FX, and visual FX and themed Zombie actors! * DJ Paul Thompson Saturday night! * Over $1000 in cash prizes at our Grand Costume Competition both nights! * A great food selection and drinks at a full bar are available inside for purchase! * FREE Professional photography of you and your friends in costume! * A portion of the proceeds will benefit AAUW who provide grants to local women for higher education! 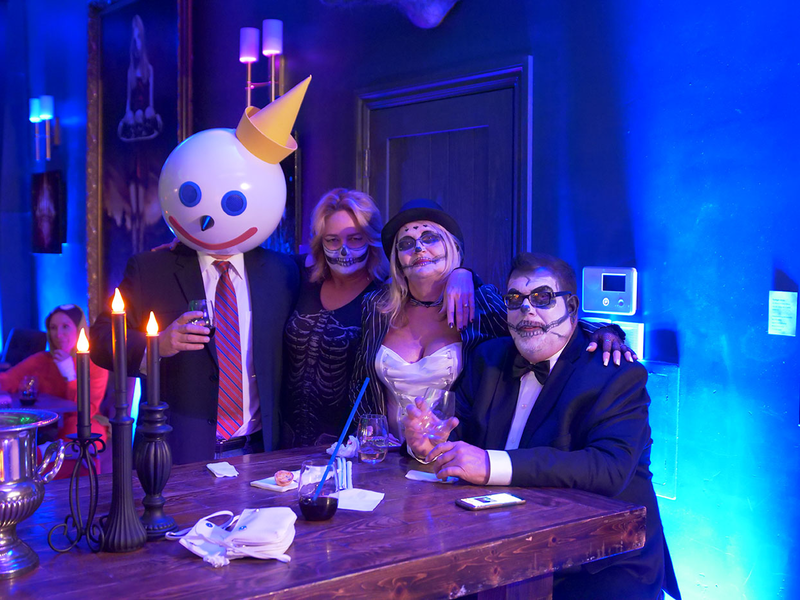 Our team works all year building Hollywood-caliber props and decor which we feature at the costume ball along with theatrical lighting, fog, sound FX, and visual FX and themed Zombie actors. 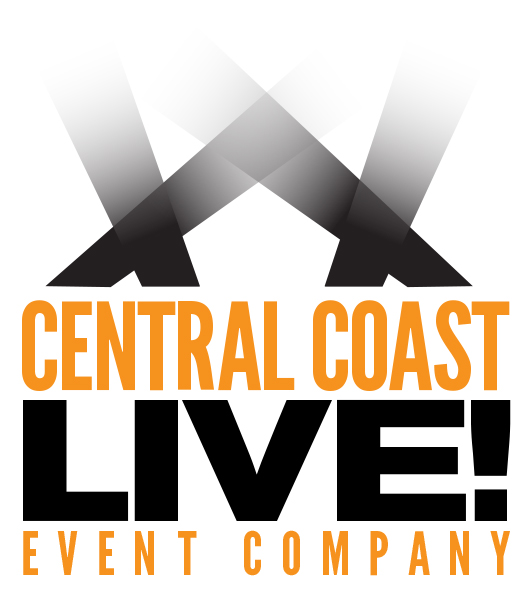 "We want people to know that we're creating an interactive and immersive experience for adults — like nothing they've ever experienced on the Central Coast," says Brad Golden, Event Producer. Some of the props we'll have on display are a 13-foot Guillotine, a full-scale Torture Stretch Rack, huge, 8-foot Spider, The Fiji Mermaid [our version of PT Barnum's creature] AND our biggest, latest, greatest GIANT 2-story Scarecrow we call, "The Gatekeeper" that will be located at the front entrance of Adelaide Hall, greeting guests upon their arrival. Golden continues, "You'll have to walk under his legs to get inside the party and when you're there with this monster towering and looming overhead, it's quite an awesome and thrilling experience." 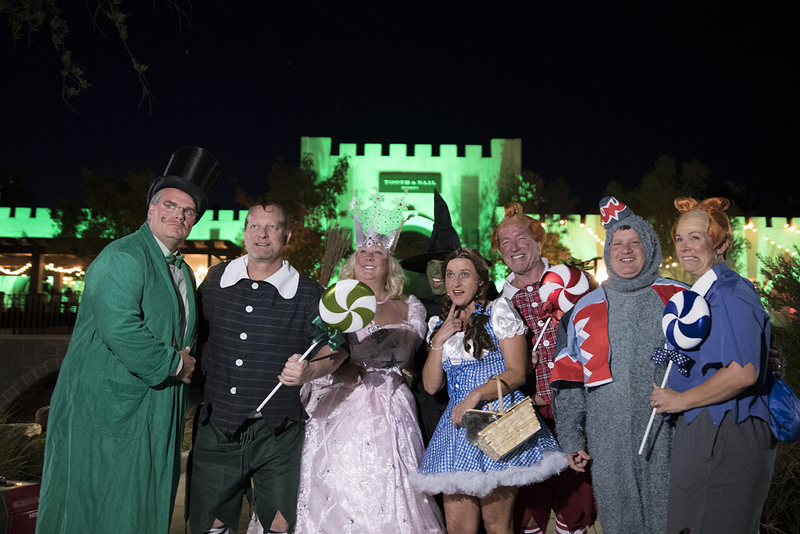 AMAZING photo opportunities await you among our props and decorations! Bring your family and friends and have a blast at this thrilling Halloween playground for adults! This is not just a dance party with chips and dip. This is a high-end production that will blow your mind! 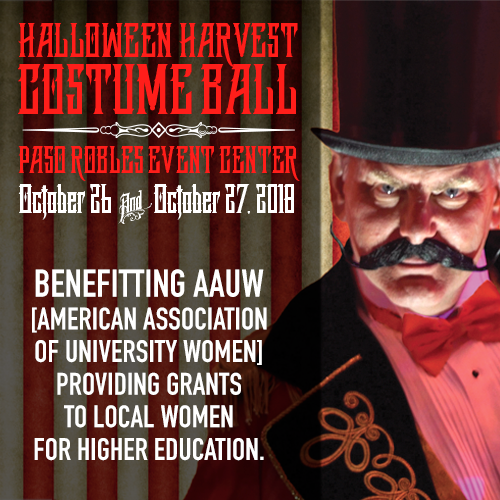 And it's got a great cause behind it, with a portion of the proceeds going to AAUW - The American Association of University Women who provide grants to local women for higher education! Golden adds, "When you get around a bunch of people socializing and dancing in costume, the energy goes through the roof!" Tickets are $45 [$55 at the door] with a $25 upgrade for Reserved Seating located near the stage and dance floor where the action is! Reserved Seating gets a complimentary first glass of wine or beer with V.I.P. tableside service where servers bring food and drink to you all night! Tickets must be purchased for food and drink after initial complimentary drink. A great food selection and drinks at a full bar are available inside for purchase! Burning James & The Funky Flames will torch the house Friday night and DJ Paul Thompson will raise the roof Saturday night! Over $1000 given away for our GRAND COSTUME COMPETITION! NOTICE! FRIDAY ONLINE TICKET SALES HAVE CLOSED BUT WILL BE AVAILABLE AT THE DOOR. SATURDAY TICKETS WILL BE AVAILABLE UNTIL 12 PM TONIGHT [FRIDAY]. Ticket Descriptions - Click HERE to buy tickets. Please note, General Admission tickets are $55 at the door. Credit cards only. No Reserved Seating will be sold at the door. iPhone USERS - BEST EXPERIENCED BY TURNING YOUR PHONE SIDEWAYS TO SEE ALL TICKET DETAILS. GENERAL ADMISSION [GA] - $45.00 - Click HERE to purchase. Admits one with food and drink available inside for purchase. GENERAL ADMISSION [GA] WITH RESERVED SEATING - $70.00 - Click HERE to purchase. Admits one with first glass of wine or beer included and food and drinks available inside for purchase. Seating will be available throughout the venue but with Reserved Seating Ticket, guests will enjoy reserved seating at round banquet tables near the stage and dance floor with wait staff offering tableside service. Tickets must be purchased for food and drinks. Street parking is available near the fairgrounds as well as a parking lot directly across from the fairgrounds for only $5, but watch out for the Zombies searching for their next meal! 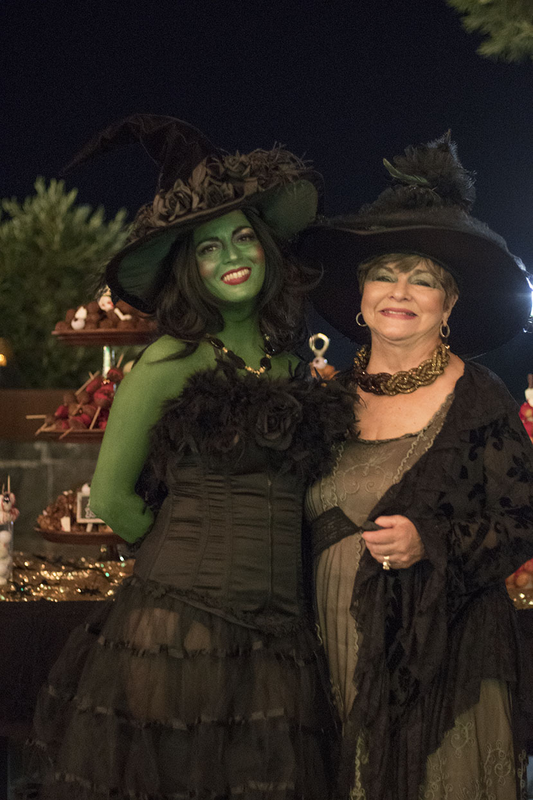 The Halloween Harvest Costume Ball! Best Halloween Party ever! You guys did such an amazing job with everything! I was so impressed by all the scary props and beautiful costumes. What a great turn out! Totally planning for next year. We met lots of fun people. A very classy shindig for sure. Thank you for all your hard work and dedication to Halloween!! Can stop talking about it! Over the top!!! Costumes were fantastic, the props were out of this world. Food was amazing, music was perfect. I had a blast it was totally amazing, the best Halloween Costume party I’ve ever been to. All of it was done well, from walking into the venue to the food servers, everyone was very nice and very professional. Can’t wait till next year!!! Had such a fantastic time at the party. Your skills are absolutely amazing and you are very talented! Oh and FYI that headless horseman was amazing and the zombies scared me to death! FIVE STARS! We saw an ad on Facebook about your party. We often travel to the Central Coast for mini vacations and wine tasting. My wife and I thought it would be a great getaway weekend and we’re big fans of Halloween, so we bought tickets. We were so glad we did. Your event was mind blowing. Incredible decorations. So many great costumes. We’ll be back next year! This was the best Halloween Party I’ve ever been to. I really like Halloween so I go to at least one party every year. The decorations, the actors, the food and the costumes were all over the top! My – oh, my! 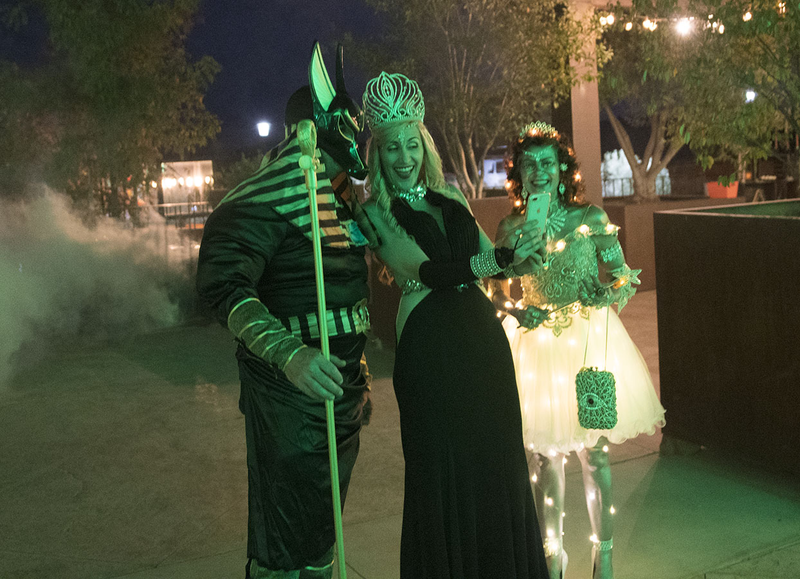 From the greeting of the walking dead to the giant bat tree … from the myriad costumes to the critters crawling up the walls … true Halloween fun! Thank you for this event!! There is no other like it in the county! Yes! This is a costume ball and costumes are mandatory to gain entrance. A T-Shirt that says, “This is my Halloween Costume” does not qualify. If you arrive without wearing a costume, you will be refused entry. 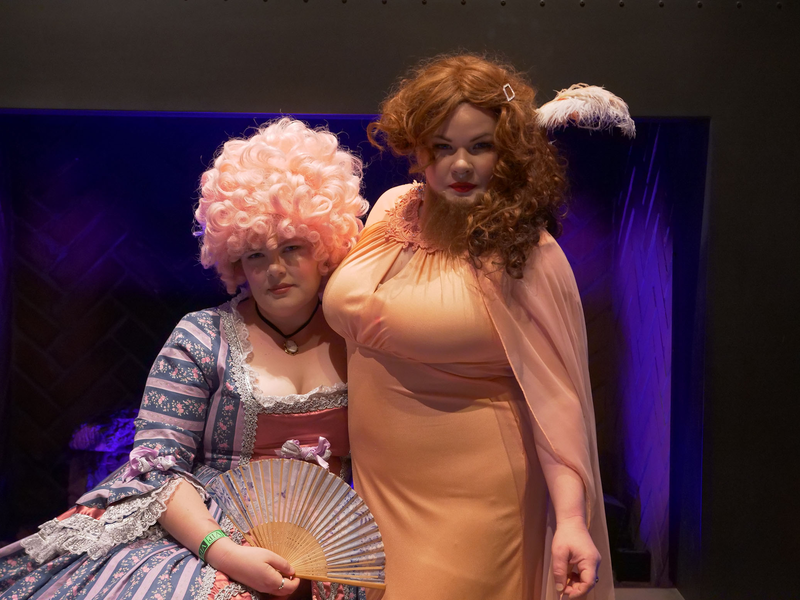 We will have a spooky vignette set up with a professional photographer toward the front of the venue to take photos of everyone in costume that will go on our website gallery after the event with high resolution versions available delivered via mail. You might be wondering,"What's the difference between Friday and Saturday night?" 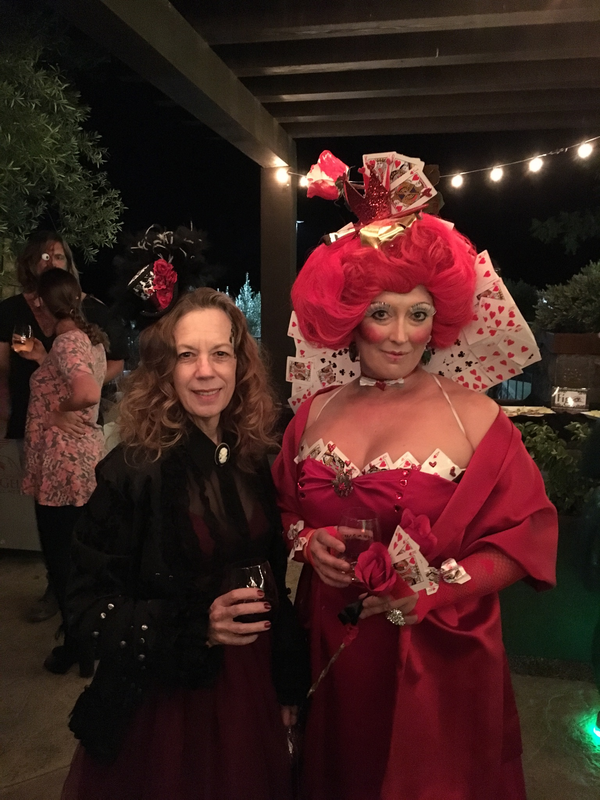 In addition to our Grand Costume Competition, Friday night will include live dance music performed by Central Coast’s most FUNKY band, Burning James and the Funky Flames. Along with our Grand Costume Competition, Saturday night guests will get down at the Devilish Dance Party with D.J. Paul Thompson who will be rockin’ the house with fun Halloween-themed sounds and dance music that will keep the energy pumping all night long! Street parking is available near the fairgrounds as well as a parking lot directly across from the fairgrounds for only $5. We will also have an Uber pickup and drop off point in front of the venue. Have you seen the recap videos from last year? For more information and refund policy, check our FAQ's HERE or email Brad Golden at [email protected] or phone Brad at  423-5906. Learn more at HalloweenHarvestCostumeBall.com!